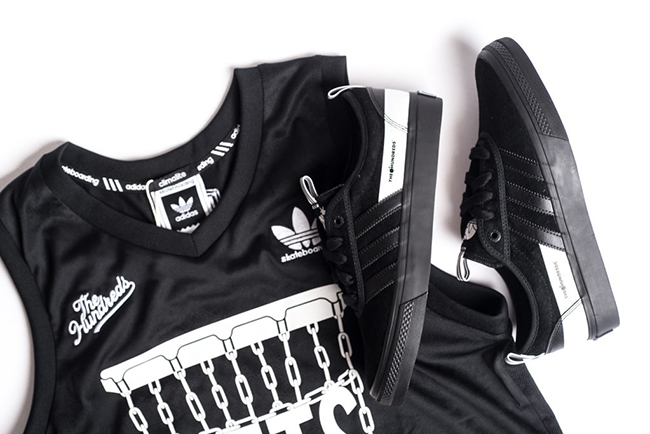 adidas Skateboarding has connected with The Hundreds again to release a special capsule. 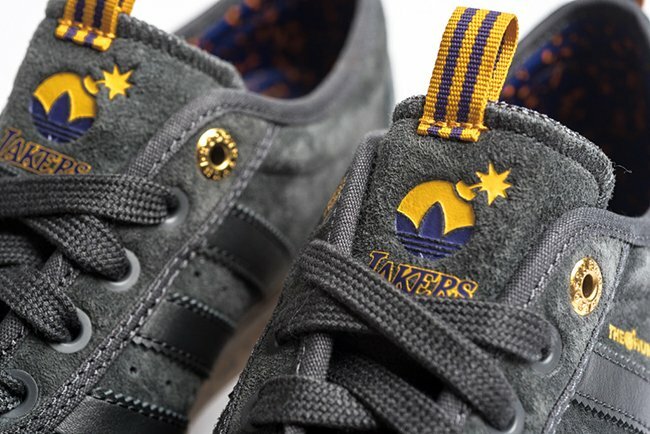 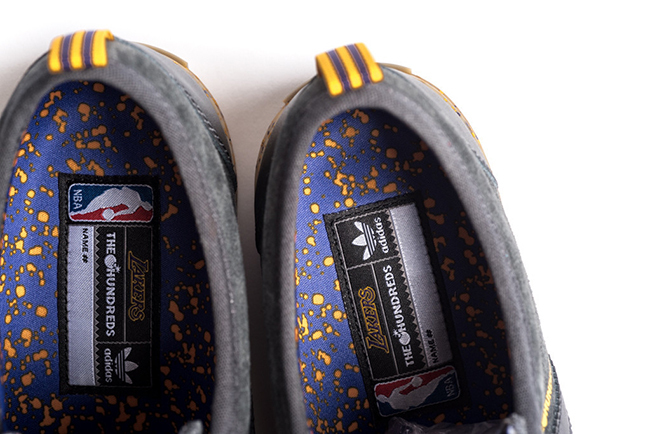 This time around, the set is known as the adidas Skateboarding x The Hundreds ‘Lakers vs. Nets’ Pack. 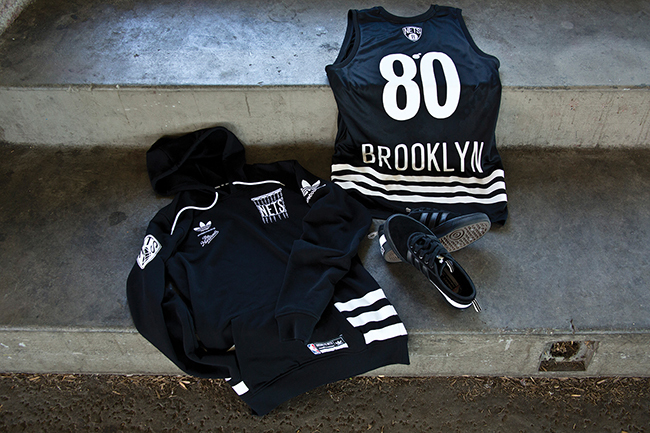 Coming off the heels of their successful collaboration in soccer, adidas and The Hundreds announce an official partnership with the National Basketball Association (NBA) with a new limited edition collection focusing on two iconic teams from globally renowned cities – Los Angeles and Brooklyn. 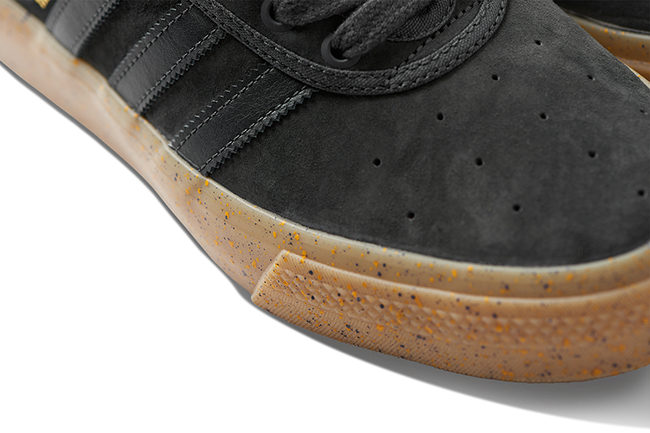 The limited edition collection features two Adi-Ease ADVs, specially created with enhanced materials, perforated toe boxes, and tongue/heel loops. 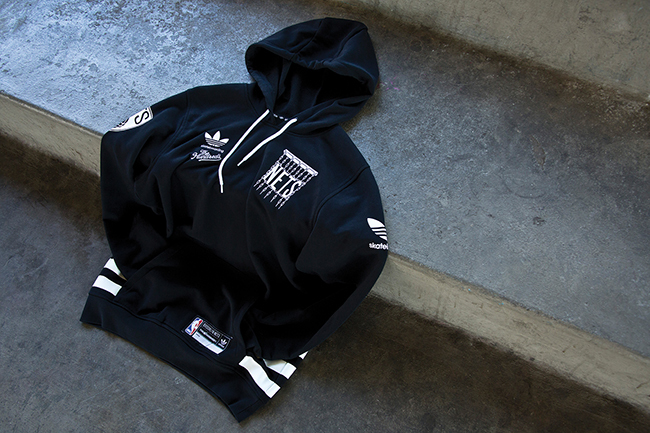 Rounding out the limited edition capsule is team apparel, which includes two exclusive adidas Skateboarding x The Hundreds x NBA team jerseys. 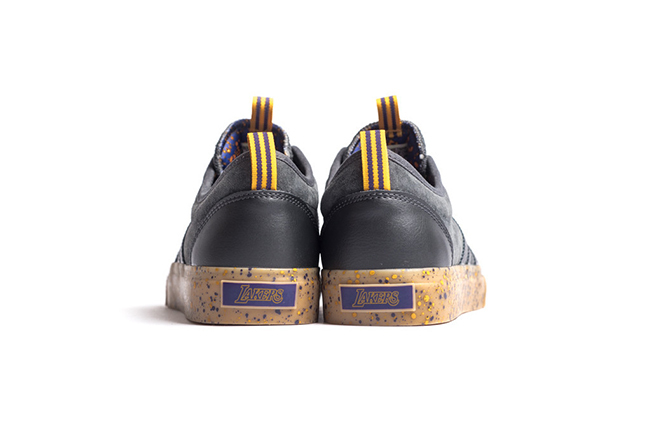 The first Adi-Ease ADV is a new interpretation on the classic Lakers’ colorway, with a charcoal upper and purple/yellow confetti gum sole, emulating the confetti that rained down on the champions in 1980. 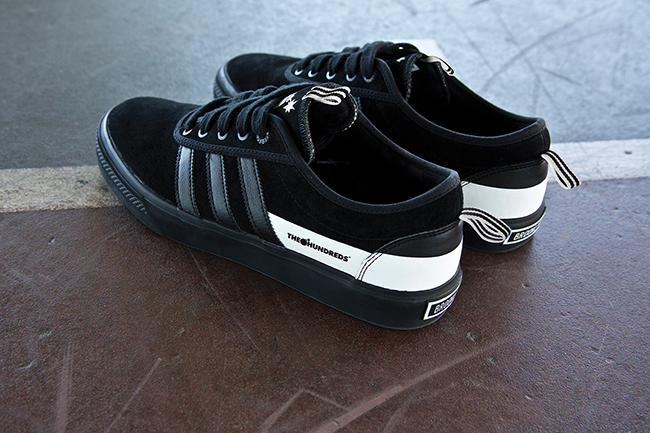 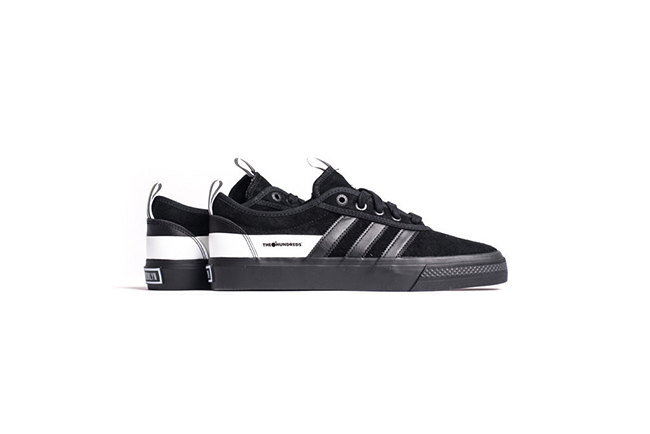 The second Adi-Ease ADV features Brooklyn’s colorway — black with a solid white stripe, similar to their new logo, in a minimalist, yet timeless manner. 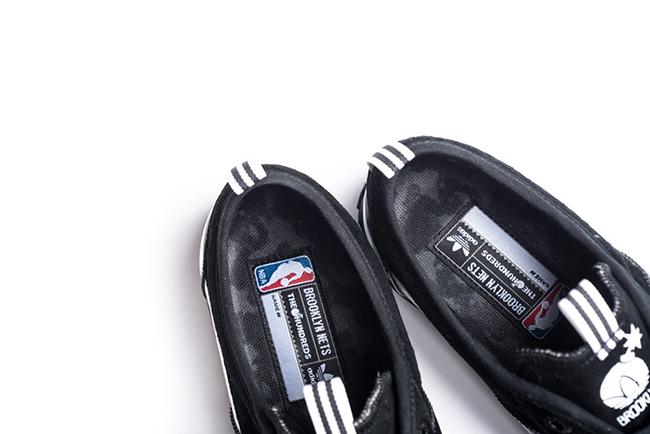 To complement the two Adi-Ease ADVs, team jerseys were designed with a unique adidas Skateboarding x The Hundreds logos and made from authentic basketball mesh encompassing both screenprinted and embroidered details. 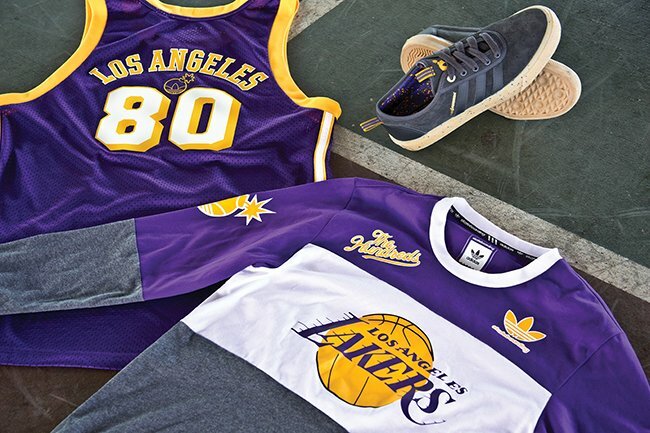 The Lakers jersey gives a retro 80s feel, made with vintage purple mesh and paired with their classic yellow logo. 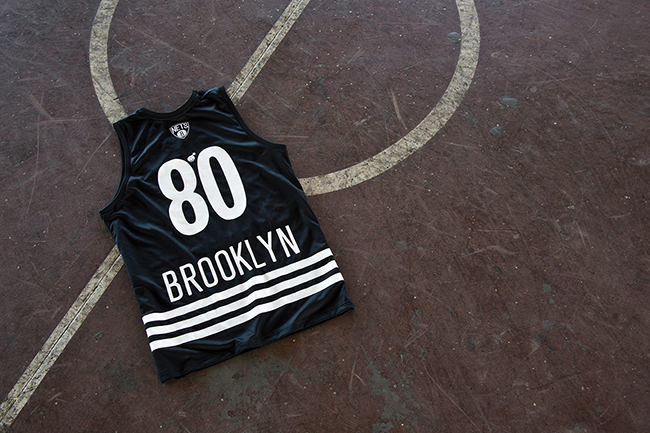 The Brooklyn Nets jersey incorporates three solid white stripes to showcase the collaboration with adidas and features an attractive black on black concrete-inspired jacquarded mesh. 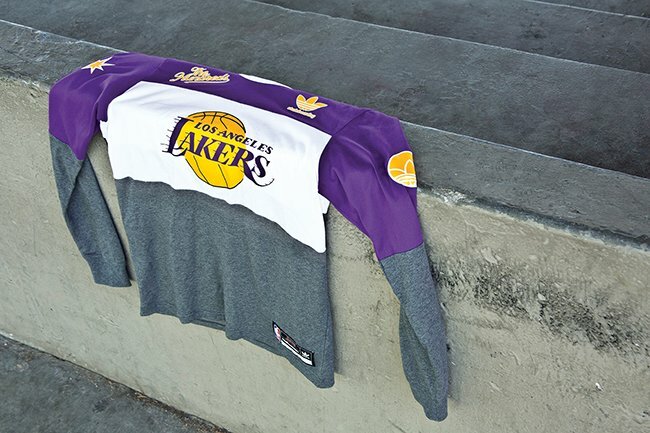 Along with the jerseys, the Lakers long sleeve is a color blocked top, which is a Climalite jersey with multiple placement screen printed graphics. 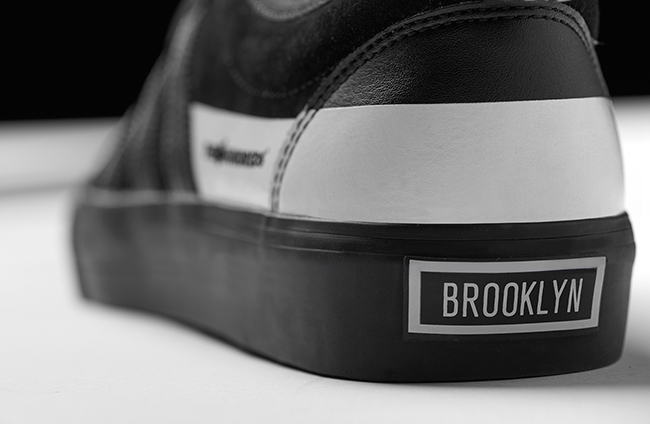 The Brooklyn hoodie is Climalite French terry with printed and embroidered details. 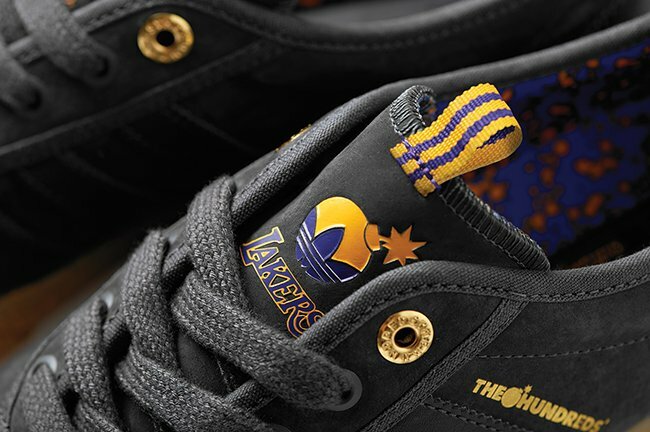 In addition to the limited edition pieces, this exciting collaboration also includes various T-shirt designs, Lakers Hoodie and a Brooklyn Nets long sleeve. 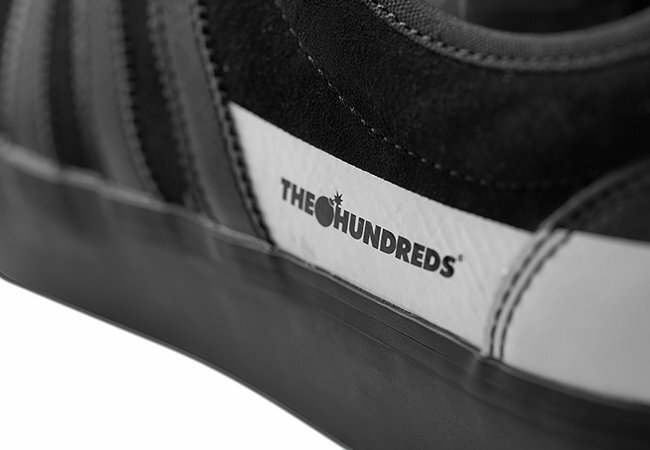 The capsule by adidas Skateboarding and The Hundreds will debut exclusively at The Hundreds retail stores and TheHundreds.com on October 1st. 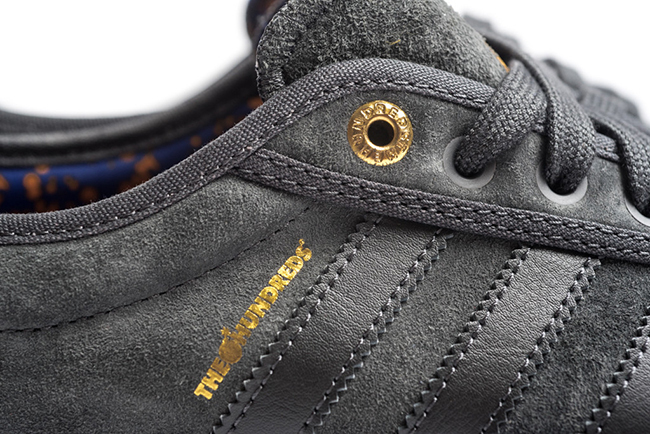 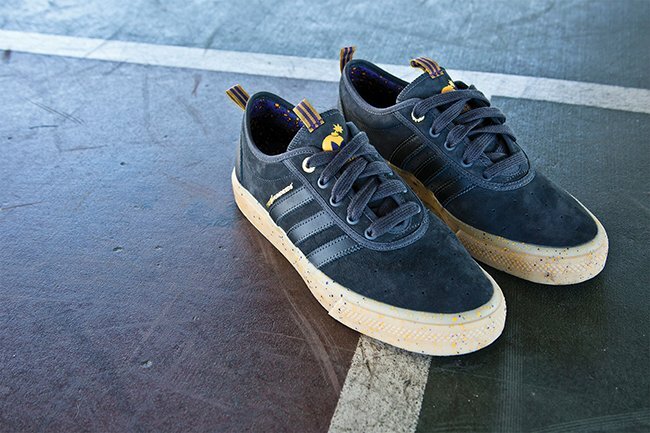 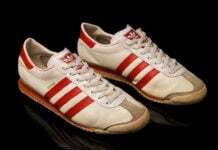 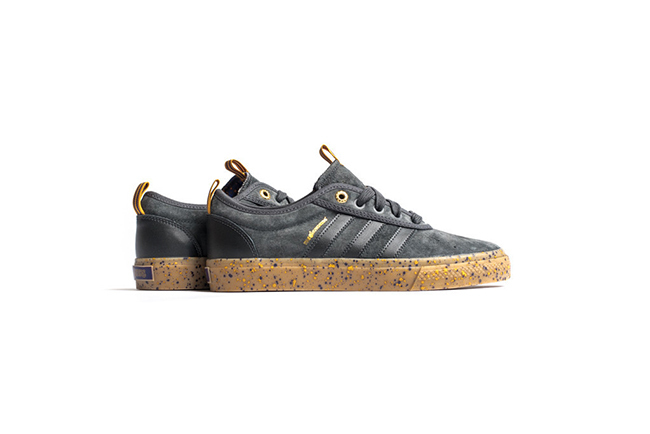 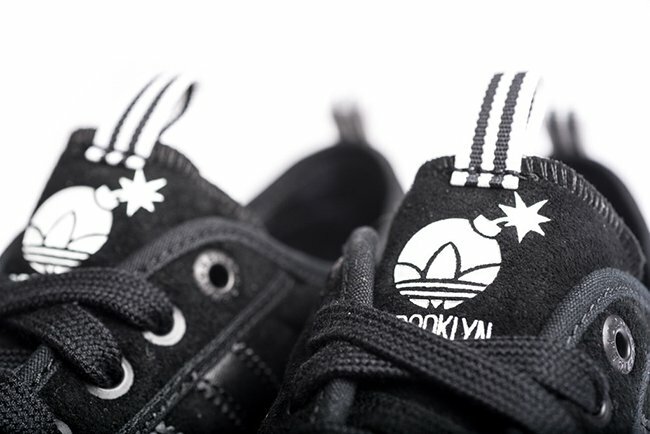 adidas retailers and the adidas Skateboarding website will launch the collection on October 16th, 2015. 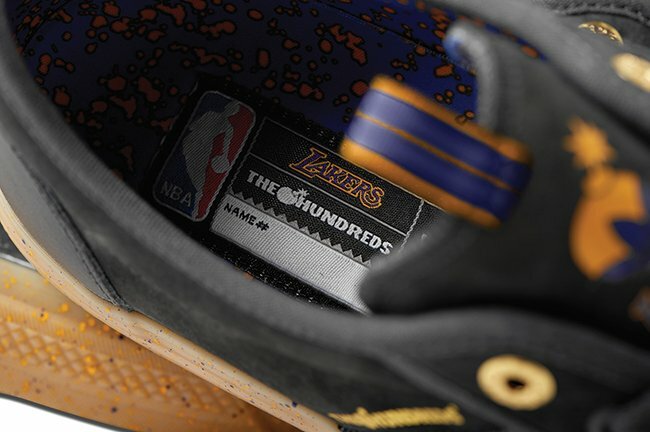 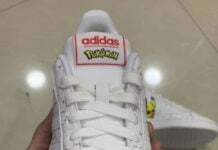 Update: Debuting on October 16th is The Hundreds x adidas Skateboarding ‘Lakers vs. Nets’ and now we have a better look at both models dropping. 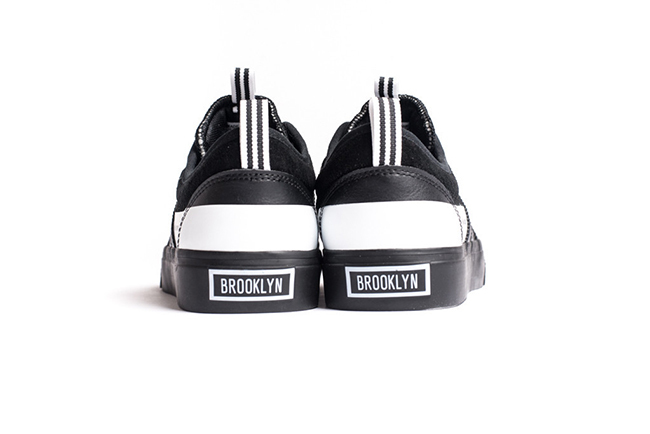 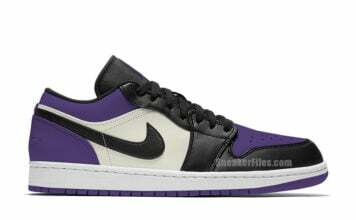 Retail price is $80 each and you can pick them up once launched at Sneaker Politics.